Work: As of April 1, 2019, I have retired from J. F. Oberlin University, where I taught for thirty years, and am working full-time at the Inter-University Center for Japanese Language Studies in Yokohama. Photos: I continue to take lots of photos of birds and flowers, mostly in Machida, where I live. Please check out the galleries on my photos page or my Flickr feed. Research: I am currently editing a book on climate change in Japanese history and prehistory together with Philip C. Brown of The Ohio State University and Takeshi Nakatsuka of Nagoya University. 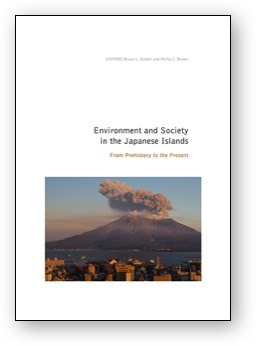 Phil and I previously collaborated on Environment and Society in the Japanese Islands: From Prehistory to the Present, which was published by Oregon State University Press in 2015.